Migrate your data from any platforms with StaffingSoft. Upon request we can provide you with all your migrating needs. We can migrate your data from your existing database or ATS service into StaffingSoft. 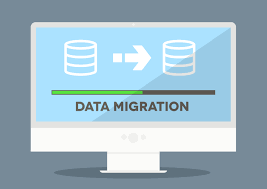 Our Data Migration team have the expertise to successfully map your old data and import it quickly and accurately into StaffingSoft. Discover how StaffingSoft Staffing Software can transform your current recruiting information into a valuable knowledge database by requesting for an online demo.